Have a great picture of Russell? Add it to the photo gallery. "To Russ and the entire Mackowski family: My wife and I send our deepest condolences to all of you. May you lean on each other for strength, love, peace, and comfort during this difficult time. 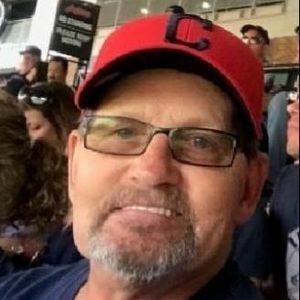 - Love Mark and Kristin Lacki, Avon Lake"
"To Russ, your Mom & the entire family, my deepest condolences in your time of bereavement. You're in my thoughts & prayers, in your time of sorrow. May you find strength in each other, during this emotional time. Take good care. God bless." "To the Mackowski family, I pray strength, peace, and comfort will find you during this very difficult transition in your lives. Nothing will ever be the same again, and losses like this take time to get through. Take the time and grieve when you feel like it, support one another, and remember the good times. "I loved to hear his stories and feel his spiritual dedication on Tuesdays. He will be missed but I know he's welcomed kindly into Heaven!!!" "Our sincerest sympathies to Nancy, Russ Jr., Steven and Joanne...he is Greatly loved and will surely be missed. May The LORD be your source of comfort, strength, and peace in this difficult time--Psalm 46-10.